It was an evening of disappointment for Chelsea at Anfield as Liverpool notched up a 2-0 win in clinical fashion against the Blues. Sadio Mane and Mohamed Salah scored the goals for the Reds to lift them back to the top of Premier League table as Chelsea remain in doldrums with regards to qualifying for the Champions League next season. The Reds started putting pressure on the Blues from the very first minute, but their defence looked resilient enough to cope with the might of the hosts. After a goalless first half, it was Sadio Mane who broke the deadlock in the 51st minute with a glancing header to find the back of the Chelsea net, meeting the end of an inch-perfect cross by Jordan Henderson. The highlight of the match, however, came just two minutes later as the mercurial Egyptian doubled the lead for his side with a thunderous strike from outside the box after dribbling past Emerson and Jorginho. Eden Hazard came close to scoring for the Blues twice but was unlucky not to find the target. Here is how the Chelsea players were rated from their disappointing defeat against Liverpool. Tried his best to keep his side out of harm’s way and did well in the first half. In the second half, however, his resistance was breached as he had to leave the field empty-handed. Did well to keep Mane quiet in the first half. The Liverpool ace got the better of him in the second half as he could only see his side go down helplessly. Was nowhere near the ball throughout the match. Could have done better to stop Henderson from making the cross which led to Mane’s goal. Was equally disappointing as his partner in the backline. Had to leave the field with an injury in the first half itself. Was too easy for Salah to beat on several occasions in the match. Was completely off-colour both in attack and defence. His disappointing first season in the Premier League continued as Fabinho and Naby Keita were too good for him to contain. Got the ball up the pitch with his passing on a few occasions. Had a disappointing second half though against the guile of Henderson. Was a peripheral figure in the match with not much service. Was substituted in the second half. The supply line was well cut-off by Van Dijk, and Trent Alexander-Arnold and its effect showed in the Brazilian’s game. Had a disappointing outing. Looked to be the only positive player for Chelsea in the match. The Blues had three shots on target, out of which two were from the Belgian. Was unfortunate not to find the back of the net though. Never looked like an upgrade over Rudiger. A disappointing outing for the Argentine as his dry run in front of goal continues. Manchester United Sign Title Winning Midfielder From Chelsea: Perfect Fit For Mourinho’s System? 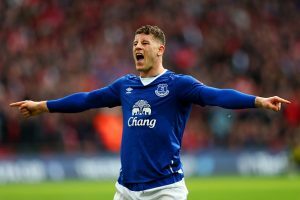 Chelsea Favourites To Sign This Everton Star: Will He Make The Blues Unstoppable?